As it seems is the case with most Apple products the latest version of OS X, Lion, has some early adopter difficulties. Here are a couple helpful tips I have picked up to overcome some issues. 1. Close iPhoto using Command+Option+Q. This will cause it not to "Resume"
It seems that I seem to be using Safari more in Lion. I think it started when we were having some stability issues with Chrome. However, I am now starting to really appreciate the auto-complete functionality and also the native multi-touch gestures for forward and back. One problem I keep running into is with the address bar. I try to use keyboard shortcuts whenever possible and always use Command+L to go to the address bar. However, if the URL that is in the address bar is really long typing over the selection only removes part of the URL. So you end up with a bunch of extra crap at the end of what you just typed. On Wednesday, October 12, Apple is officially released iOS5. This is a very significant upgrade, with several fundamental changes to how your iPhone or iPad synchronizes and backs up data. Over the next few days I am going to show you the simple steps involved in upgrading to iOS5 and also provide some details on some of the new features and how to take advantage of them. Check out the new features on Apple.com iOS5 is only supported the iPhone 3GS, iPhone 4, iPad, iPad 2 and iPod Touch (3rd generation). It's official iOS5 is now officially released to the general public. Hopefully you have been keeping up to date with my previous posts, if not there are links above for backing up your iOS devices and also upgrading iTunes to 10.5. If you are ready to make the leap here we go. Once you have confirmed that you are at iTunes 10.5 it is time to download and install iOS5. If you are prompted to set up as a new iPhone or choose from back up just choose the back up you created earlier. After the upgrade is complete I recommend hitting the Sync button one more time for good measure. This will create a fresh back should something go wrong. Congratulations you have successfully upgraded to iOS 5. More on the new features later. Now let's turn on the wi-fi sync feature. This feature will allow you to sync your iOS device without actually plugging it in to your computer. 1. Go back in iTunes and plug in your iOS device. 2. Once it appears in the Sidebar at the left click on it to see the Summary information for it in the right hand window. 3. You should notice a new option to "Sync with this iPhone/iPad over Wi-Fi"
6. Make sure you see this message at the top confirming that the iPhone/iPad sync is complete and/or that it can be disconnected. 7. Now just unplug the device (don't hit the eject button in the sidebar). The first time you unlock the new device you are going to be prompted about a few things. One thing it will ask is your Apple ID. Use the same id you use for buying music, this will set it as the default Apple ID for several things. Next it will ask you if you want to set iCloud. I recommend saying no and reading my next post on configuring iCloud and Messages. You should notice that the device stays in iTunes, even though your device is not connected. Now as long as iTunes is open and your device is on a sync can occur between your devices without being connected. If you want to try it out add a new artist under the Music tab and hit the Sync button in iTunes. You can also trigger a sync from your iOS device by going to Settings > General > iTunes Wi-Fi Sync. This also means that if iTunes is open on your computer and you plug your iOS device in to charge, it is locked (via it sleeping or you hitting the sleep button) and it is on the same network it will automatically back itself up. See my post of the Top 10 Minor Features in iOS 5 to get started. There are a lot of new features in iOS5, I think Apple says something like 200. Everybody knows about the iCloud integration, Notification Center, Messages, Photo Stream, Reminders app and Newsstand, but I always think the little things are what really end up making the big difference. Here is my list of the top 10 minor features in iOS 5. Twitter Integration - You can now log in to your Twitter account at the iOS level and Tweet from the Photos and Safari apps. Plus it does a cool bird tweeting sound when you do Tweet, but this is configurable see item 1.
iPod Split - The iPod app is no longer and instead there is now a Music and Videos app. Rich Text Formatting in Mail - Mail now has rich text formatting capabilities like bold, italics, underline and also quoting. Split Keyboard on iPad - The iPad keyboard is can now be dragged into two smaller keyboards. This makes it much easier to type when holding it up. Multiple Routes in Maps Application - Doing a search for directions will now return multiple routes that you can toggle between by selecting the number label on the route. Camera Improvements - In the Camera app you can now use the Volume up button to take photos. You can also double click the home button on the lock screen to go directly to the camera without unlocking the iPhone. iPad 2 and iPhone 4S AirPlay Mirroring - The output of both devices can be output directly to the TV. Not exactly sure when this is useful, but it could be cool for gaming. On Wednesday, October 12, Apple is going to officially release iOS5. This is a very significant upgrade, with several fundamental changes to how your iPhone or iPad synchronizes and backs up data. Over the next few days I am going to show you the simple steps involved in upgrading to iOS5 and also provide some details on some of the new features and how to take advantage of them. Check out the new features on Apple.com iOS5 is only supported the iPhone 3GS, iPhone 4, iPad, iPad 2 and iPod Touch (3rd generation). As of Tuesday, October 11th, 2011, iTunes 10.5 is officially available. This is the first version of iTunes to support wi-fi syncing of iOS 5 devices. One new feature is the ability to automatically download music, apps and books purchased on iOS devices right to your computer. You can also download any books, apps, music or tv shows you previously purchased from inside the iTunes Store without having to pay for them again. On the computer make sure you have the latest version of iTunes and upgrade if necessary. If any updates show up proceed with the upgrade to the new version. That is all for now until tomorrow when iOS 5 is officially released. One big issue that is going to be addressed in iOS5 is iOS device owners not keeping their software up to date or synchronized/backed up with their computer. So let's go through the steps you should take prior to Wednesday, to prepare your iOS device for the upgrade. This requires your iOS device and the computer you used to set it up. Once you have confirmed that you are at iTunes 10.4 it is time to make sure your iOS device is up to date. If you are prompted to upgrade your device then you should proceed with the upgrade. That is all for this step. In the future this is going to be much easier, but that is for another day. Stay tuned for the next post where I go over the steps for upgrading your computer to iTunes 10.5, your device to iOS5 and finally setting up wi-fi syncing. Working in Flex can help build really great for building very rich internet applications, however, when it comes to working outside of the Flash Player sandbox that is when things start to get a little more interesting. Case in point... the application I have been working on required the ability to call a Java Applet. The applet was required because there had been a lot of Java code written with very complex algorithms for generating a certain type of image. We were concerned with the bandwidth usage required for going back and forth to the server for the images and also with the responsiveness of the Flex application as it waited for the response from the server. The application in question involved a WYSIWYG editor and these images were generated at the end of a drop. To execute the call to the applet there was a javscript function that would get called using the ExternalInterface class in Flex. A call back was added that would then notify the Flex application when the image was generated. The thing I spent the most time figuring out was the proper way for loading the applet into an html page, while supporting both browsers and also attempting to stay compliant to the latest html standards. Once I switched to this method it not only made my html much cleaner, but it also made the code xhtml compliant. I did have some difficulties checking for a specific version of the Java Plugin, with it always just returning the major and minor version and not the revision/update version. However, if you are looking to just add the applet this is the way to go. Several weeks have passed since the Apple WWDC and I am finally starting to wrap my head around the new iCloud product and also the bigger picture of how cloud based computing is going mainstream. Initially after the keynote I was lukewarm on iCloud because my expectations shot for the moon. It was foolish of me to think that Apple was going to dramatically shift the computing world with one product. History has shown that they prefer the route of baby steps as was seen with the original iPhone in 2007 that was released without a developer API and only included 14 apps out of the box. Of course every year since giant chunks of new functionality have been added to each iteration of iOS and now the "missing" feature list is negligible. Now that I have put things into perspective it seems like this is just the early stages of what is to come from Apple. In early 2008 it looked as though software inside the browser was the way of the future. Most users had migrated completely to online email clients thanks to the rich user interfaces of Gmail, Hotmail and Yahoo! mail. Online photo management via Picasa, Kodak Gallery and Flickr also started taking off. Online word processing and spreadsheets existed, but they were still very raw and hard to use because of the limitations of the browser (darn keyboard shortcut interception). Besides the move towards web apps nobody (besides gamers) was running out to the store to buy software in a box, beyond the staples of Microsoft Office, Quicken, TurboTax and a few assorted random applications. The move by consumers towards using a single application, the browser, also lessened the importance of the operating system as well as the need for getting the latest and greatest hardware to run multiple applications. Simply put you could plop down at nearly any computer with an internet connection and a browser and take care of most of your computing needs. All of that changed in the Spring of 2008 when Apple released a developer API for the iPhone operating system (now known as iOS) and announced that they were putting the App Store on every iPhone and iPod Touch. Once the App Store opened things changed and people started buying software again. Nearly overnight companies of one were releasing games that would rocket to the top of the App Store and put these developers on the map. It seemed at one point like everybody was releasing apps from big retail companies like Gap and Target, to dads like me who just wanted to get their kids to sleep through the night. Of course there was controversy around the closed nature of the store and certain apps getting declined for sometimes what seemed like random reasons, but that is for a different story. What's important is that the clear future of browser based software all of a sudden became a little fuzzy. I didn't have much luck with my first iPhone 3G, I had a hardware problem that caused the orientation of the phone to get locked in one direction until I restarted. Thankfully Apple is relatively understanding when it comes to issues of this type and after a brief conversation at the Genius Bar I was given a new iPhone 3G on the spot. I was pretty psyched about this and headed home ready to set my iPhone up again. Once I got home I plugged the phone into the computer and iTunes asked if I wanted to restore from a backup. I wanted to say, "Hell yeah I want to back up", but the button only said "Ok", so I clicked it. Within minutes my new iPhone 3G was, well my old iPhone 3G minus the hardware glitch. With this new device Apple had made the device itself disposable in some way. Computers didn't work this way. If for some reason your computer hard drive crashed, putting it back together typically involved several late nights of copying files, tweaking settings and never getting back to exactly where you had been. The new iOS devices could be returned to their original state within minutes all with negligible user interaction. By June of 2011 the App Store had become a huge success and had expanded to the iPad and even the Mac. Steve Jobs took the stage to finish out the keynote at the WWDC and started talking about iCloud. Now prior to this I was expecting we would all just put everything on Apple's servers somewhere and magically stream things wherever we wanted. Instead Mr. Jobs said iCloud will provide free push email, calendars and contacts (yawn). iCloud will sync your camera roll across your iOS devices and Macs (rubbing eyes). 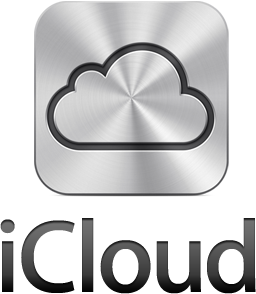 iCloud will let you download any music you already purchased onto any of your devices (focused). iCloud will let you backup your iOS devices settings (nodding off again). Finally, we will be providing an API that will allow developers to save their applications data to the cloud (fell asleep). Sadly the one I was most dismissive about has the most potential. The success of the App Store makes this one of the more important features of iCloud. Users currently using apps are for the most part limited to working with "documents"within that app on a particular device and due to the lack of a file system can't easily access those "documents" from anywhere else. iCloud changes that buy allowing you access to the same "document" across devices both iOS and Mac OS. Again the device becomes irrelevant. With iCloud you could throw your Mac into the ocean, buy a new Mac, download your purchased app and immediately resume work as if nothing happened. Voila the feeling of a browser based world, but with rich native apps. With more and more apps coming from the App Store, more and more apps will be able to save in iCloud, all with little change in user behavior. The user basically continues to use the app as they always have, but behind the scenes it is getting saved and backed up for them. Oh yeah and lack of an internet connection is no big deal, because it will just back up when it gets the chance. While all this app craziness is going on Google hasn't just been sitting around waiting Apple to lead the way they have continued to push the envelope with browser based computing. The Google Chrome browser is an ever evolving "platform" which is blurring the lines between native application and browser based application. The quality of browser based applications has improved dramatically thanks to newer html5 standards and improved robustness of first generation applications. The Google documents of today is a far cry from the first iteration and gmail has added so many features in the last couple years it is hard to shut them off fast enough. Google also rolled out its own web app store which has provided users with access to many of the titles found in the Apple app store. The strategy they are taking is to get people to work in the browser and make the operating system and hardware irrelevant. They even have created their own operating system called Chrome OS, which is essentially an operating system in a browser. It is hard to say how the story ends. I like Apple's strategy of near transparency when it comes to the cloud. In my experience the less a user has to think the better for everyone. Users need things to be really easy for them, they can't be worried with backups, they can't be concerned with a file system (or trusted with it). They want to open up an app and be able to easily start something new or continue where they left off. One difficulty I see is the restriction to iOS and Mac OS devices. While Mac sales continue to improve they still represent a very small share of the market. Of course this only makes the sales pitch for getting a Mac that much easier. "Hi Mr. Customer, you say you have an iPad and you use Pages to do word processing. Well if you buy a Mac and link it to your account you can download Pages for free and will also immediately have access to all the documents you created on your iPad. Oh yeah an all the music you bought in iTunes will all just be downloaded." Switching to Mac has never been easier. Google's strategy of getting everybody to work directly in the cloud is also pretty strong. I spend a majority of my day in a web browser and with Google Chrome's syncing of settings across computers it is easy to just log in and continue where I left off. The big hurdle with anything browser based is getting the average user to understand how it all works. First of all the internet address (URL) thing still confuses people. Raise your hand if your parent always goes to google to do anything. Why do you think Facebook gets so many Google hits? As simple as it may seem the browser is just too complex for some people to use. Native apps on the other hand are concrete things users can click on and once loaded are isolated to their own little world. Oh yeah and I forgot to mention getting somebody to download a new browser to use is next to impossible especially on a Windows machine. I think my dad still uses the MSN browser. Bottom line as long as somebody has to type an address to do something it is going to be difficult for the simple users. As for the Chrome OS, I think the likelihood of anybody I know going out and buying one is slim to none. I only know a handful of people who have upgraded to Windows 7, most people are sticking with XP until they can trust 7 or have a Mac running the latest and greatest version of Snow Leopard. Lots of questions have been answered with iCloud and recent offerings from Google and Amazon. My music is going to be stored in the cloud in one of two ways: The right to download it (iCloud) or the right to stream it (Google and Amazon). Okay I am good with that. Documents will be stored one of two ways: Locally with a backup in the cloud (iCloud) or accessible in the cloud (Google). Apps will be taken care of either: Locally with rights to download (iCloud) or directly in the cloud. Okay that takes care of most of the types of things I store on my computer, but what about personal photos and videos. There really isn't a fully baked solution with iCloud, but there are lots of online options outside of the Apple universe like Picasa. Movies and tv shows were left off the list of iCloud supported content. Alternatives for those on the internet include things like Hulu, Netflix and YouTube. It seems that Apple still has a little bit more work to do in order to make the computer as disposable the iPhone, but they are well on their way. Now I just have to wait and see how things pan out. Most people know there was a big Apple event today, unfortunately only a couple sound bites will make it out to the average person via the mainstream media. So I am going to attempt to break it down for the masses. I am going to go in order of how it effects people and also what they are going to care about most. Notification Center - One of the most annoying features in iOS up until now has been the notifications that pop up over everything and require a quick tap in order to do anything else. Notifications will now flip up in a little area at the top of the screen. The Notification Center is a centralized spot for all notifications that can be easily accessed by swiping down from the top of the screen. The lock screen will also give list out your notifications and give you one touch access to the app with the notification. Reminders - A brand new app is joining the out of the box bunch and it is a To-Do list/Tasks app. You can add items and uncheck them as you complete them like a regular task list, but you can also set up reminders by time and also by location. For example, if you are out to dinner and remember you forgot to close the back windows you can set a reminder to pop up as soon as you get home regardless of when you get home. WiFi Sync - Ever since the first iPod the only way to get anything from your computer to your iPod was to connect a cable and sync via iTunes. In iOS 5 you can now sync over wifi. Just plug your iOS device into a power source at home and it will automatically sync with iTunes, backing up your device to iCloud and getting the latest and greatest information from iTunes. iPad Usability - The iPad is getting a couple cool new features of its own. A special split onscreen keyboard for typing while you hold the iPad up with two hands. Multi-touch gestures for switching between apps, going to the home screen and other basic navigation. Tabs in Safari. I think iCloud is one of the most interesting things to be announced today, but also probably one of the most confusing. Up until now Apple has offered an online service called, MobileMe. It is a paid service that provides users with an email address, and also access to a cloud based calendar, mail service and contact application. It costs $99 a year and had limited success. The service did integrate well with iOS and provided one of the first methods of getting data pushed out to iPhones. The new iCloud is MobileMe reborn, but with a couple new features and its free!! Once again you get email, calendar and contacts as with MobileMe, but with iCloud you also get storage of documents and the backups of your device contents. You can also download any apps, books and music you have purchased from Apple from any of your devices whenever you want. So if you own the latest Lady Gaga album, but don't have it on your iPhone you can go to the iTunes app and download it to your phone for free. Finally there is a new PhotoStream feature that will sync your Camera Roll across all your devices including your Mac. So if you take a photo on your iPhone it will automatically go to the cloud and then appear in the PhotoStream album on your iPad and also in iPhoto on your Mac. Okay so that's all good, a bunch of stuff will automatically get saved somewhere and then be synced across multiple devices. I am looking forward to syncing photos across devices and also being able to download purchased content, but as for the documents (I don't use any of the iWork stuff) and mail stuff I don't think I will use it. It doesn't stop there though... there is one more thing which you will probably hear the most about in the news, but will not be reported on correctly. The iTunes Match service is going to read all of the music in your iTunes library including all the stuff you spent hours and hours ripping and will match it to music in the iTunes Music Store. For the price of $25 a year you will be able to access all of that music from any of your devices. So if you were a huge Aerosmith fan and had 15 of their CD's imported into iTunes you will now have access to all of the CD's from your iPhone without having to actually have them on your iPhone. The best part is you actually have access to the songs on the iTunes store which are most likely in a better quality format than what you have. The big question with iTunes Match is; What happens if you decide not to renew your subscription? Will you get to keep the new and improved quality versions of the song? I am still on the fence about this, but it would be nice to get more up to date audio quality and also would be great to have it all backed up to the cloud. More information can be found at the Apple iCloud page. Finally I will briefly talk about the latest updated to Mac OS X, called Lion. I don't think there is anything new to report since February. The big deal being made about this release is how Apple has taken functionality from iOS and brought it back to the Mac. Mission Control - A single view to see what apps are open on your Mac. Multi-Touch Gestures - The entire operating system is now full of lots of multi-touch gesture support. Oh yeah and they got rid of scroll bars. Auto-Save - Apps will now be able to auto save with support for revisions, reverting to old revisions and duplicating. Find more at the OS X Lion features page. My wife and I recently decided to go on our first parents only vacation to Puerto Rico. Now like any true geek dad, near the top of the required list for any vacation is the camera and the laptop (anything else can easily be replaced). Over the years each of these items has improved to bring us to the killer pair of a Canon Rebel T1i and a late 2006 MacBook, today. Since we were trying to pack extra light I thought it would be the perfect time to try to go laptop free for a vacation. Note I said laptop free, but not tablet or smartphone free. The iPad 2 and iPhone 4 rarely leave my sight and this trip would be no exception. The iPhone would help us navigate the island and also let me tweet all about our vacation. 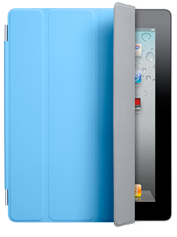 The iPad 2 would be my all purpose media source (books, movies and games) and more importantly using FaceTime we could video chat with the boys back at home. 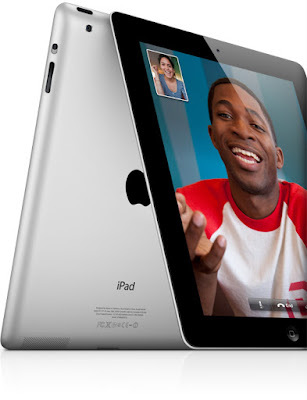 So the first problem of video chatting was solved, by the iPad 2. However, I still had two other problems to overcome before I would truly be able to enjoy my vacation. It may be hard to believe, but after calling the hotel we found out that each room had free wired internet access, but WiFi was only available in common areas. As much as I would love to do all my video chatting from the lobby of the hotel and all my web browsing on my phone over 3G; I had to get WiFi in the room. 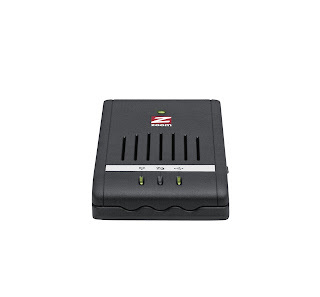 I quickly ruled out lugging my Airport Extreme on vacation, so I quickly searched for travel modems and found the Zoom 4506 3G Travel WiFi Router. It is a small WiFi router with an internal battery and also relatively native support for 3G data modems. Most of the reviews were good plus it was only like $75 so I took a chance. Once I got it home I set it up and began testing. It was pretty easy to set up and after all my testing I was ready to go. Once the Eye-Fi card arrived I also did some dry runs with it at home. The setup on this was a little more complex and took me quite a bit longer than the wireless router. The one thing I found most frustrating was the apparent limitation of linking the card up to only one iOS device in direct mode at a time. I was able to get both the iPhone and iPad configured to connect in Direct Mode with the card, but once I shut down the wireless network only one of the iOS devices would receive photos. I don't exactly know why it works this way, but I have to assume there was some good reason for it. In the end I had it working as I wanted prior to leaving. I packed all my essentials, made it through the stressful process of security at the airport and made it to our hotel in Puerto Rico. In practice the Eye-Fi worked flawlessly, the iPad quickly found it and the photos whizzed over the 802.11n connection. When we were in the airport I actually turned on the camera, fired up the app and let the iPad download the photos while it was in my bag. I think it took about an hour and a half to download 300 photos in RAW format (~15-20MB each). I was very impressed with it and found it to be a great investment. I didn't have the same luck with the Zoom modem. Initially when I plugged it into the ethernet port in our room it was connected, the iPad could get on the network, but couldn't reach the network. I played around with the IP settings and eventually got it to work. However, the next morning it didn't work again. Let me disclaimer here that I think the problem was not with the router but instead with the network settings in the hotel. In the end we were able to pick up WiFi in our room from the lobby so it worked out okay. In the end I did drop the ball by not uploading any photos (sorry friends and family), but that was mostly because I was too busy relaxing. I never really laid out a plan for how I would have done it, but I think Alex(@alexredsox) would say something about people having figured out how to do that and it would probably involve Picasa and email. Oh yeah and we did have a great vacation, although sitting here two weeks later and it seems like we never went.